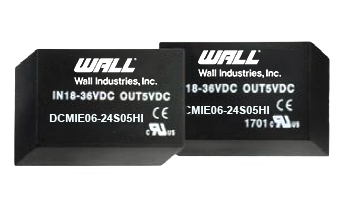 The DCMIE03-HI series of DC/DC converters offers up to 6 watts of output power in a compact 1.25” x 0.80” x 0.47” industrial standard DIP-24 package. This series consists of single and dual fully regulated output models with a wide 2:1 input voltage range and ultra-high isolation. 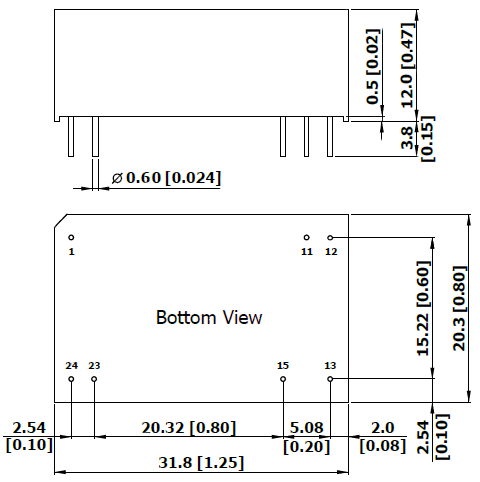 Each model in this series has over load, over voltage, and short circuit protection, is qualified for IGBT and high isolation application, and is RoHS & REACH compliant. This series has UL/cUL/IEC/EN 60950-1 pending safety approvals and CE marking.